Welcome to Marlin View! Unsurpassed ocean and beach views from almost every room of this beautiful 7 bedroom, 5 bathroom recently renovated and updated 3400 SF home. Spacious covered porches and sundeck to enjoy breathtaking sunrises, dining, or just sunbathing and relaxing. 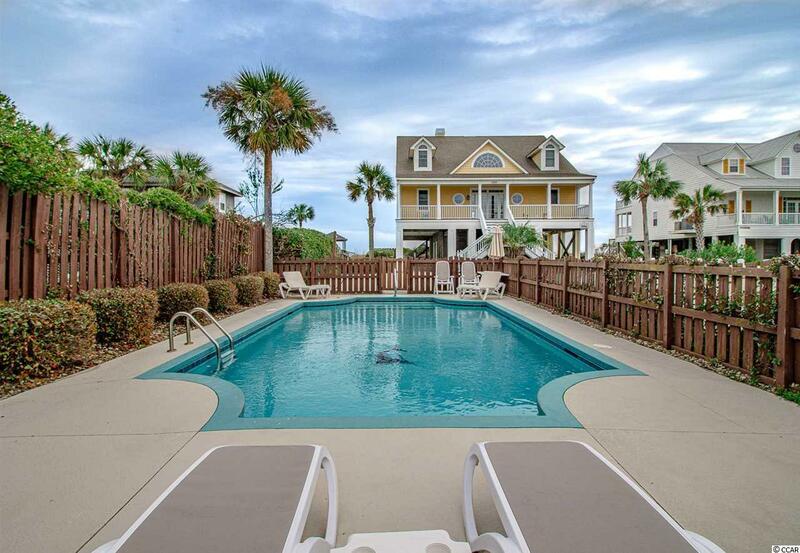 Situated on the best lot on Garden City Beach, direct oceanfront with deep dune protection and unobstructed views of Murrells Inlet across the street, which allows for not only incredible beach and ocean views but stunning sunsets over the marshes as well. Just steps to the beach via a private walkway from the backdoor or walk across the street to the marina for boating. Large open living area with wet bar equipped with stand-alone ice maker. Three ocean front master suites with private bathrooms. Exterior amenities include a private 16 x 32 in-ground swimming pool, plenty of spacious covered and driveway parking, double enclosed exterior showers. New renovations in past couple years include: new carpet, new hardwood floors, new dÃ©cor, fresh interior paint throughout, new large capacity stainless steel refrigerator, updated bathrooms, new hardware & fixtures, new tile master shower, resurfaced pool and pool deck & more! On rental program with great rental history. Directions: Atlantic Ave To Garden City Beach, Right On South Waccamaw Drive, Approx. 2-Miles To 1509 South Waccamaw On Ocean Front.